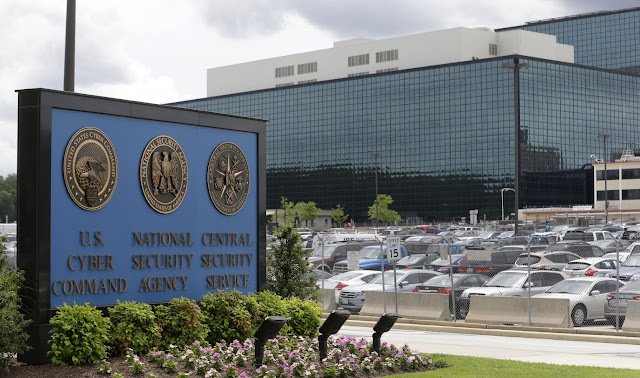 The National Security Agency, part of the U.S. military reportedly has a direct line into the systems of some of the world’s biggest Web and tech companies, i.e Microsoft, Google, Facebook, Skype. The NSA access is part of a previously undisclosed program called PRISM, 6-year-old program which allows officials to collect real-time information and as well as stored material including search history, the content of emails, file transfers and live chats, according to reports in the Washington Post. 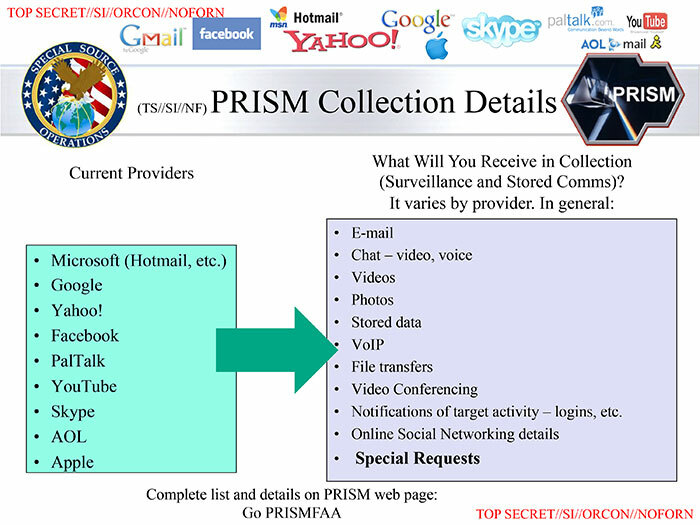 Project PRISM may be the first of its kind and also GCHQ, Britain’s equivalent of the NSA, also has been secretly gathering intelligence from the same internet companies through an operation set up by the NSA. Later confirmed by the White House and members of Congress as saying that the government routinely seeks information in its fight to thwart domestic and international terrorism. 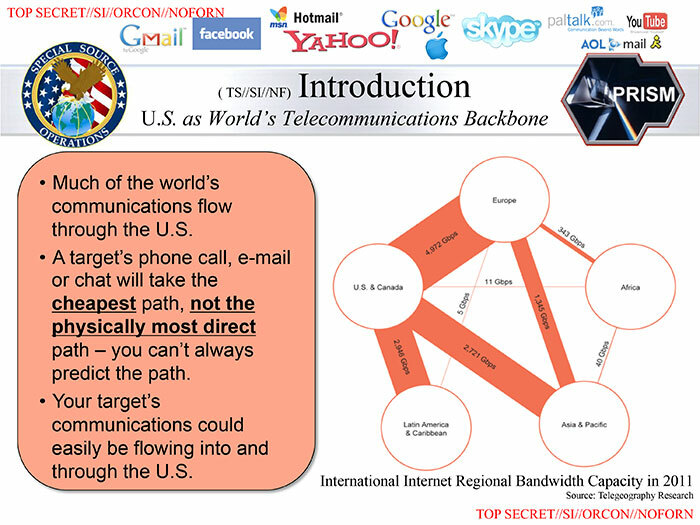 Other services that are reportedly part of PRISM include PalTalk, Skype, and AOL. Dropbox is listed in the presentation as "coming soon." 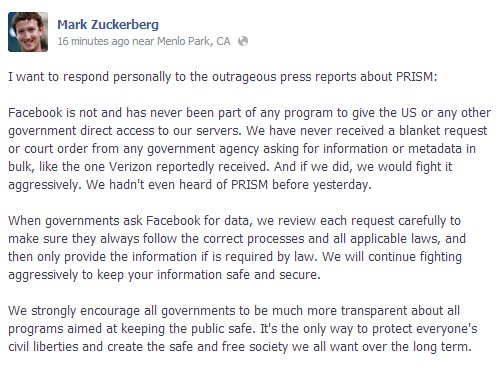 Companies including Facebook, Apple and Google denied the company's alleged participation in PRISM. 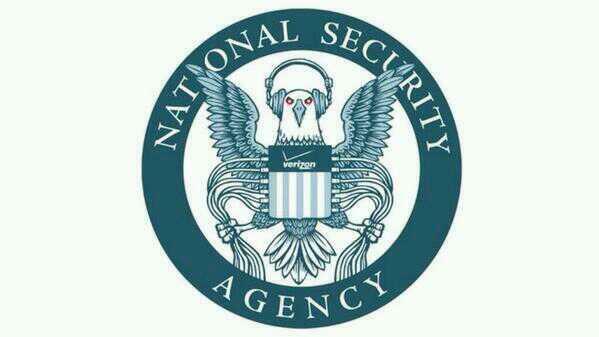 A spokesperson for Apple said "We have never heard of PRISM. We do not provide any government agency with direct access to our servers, and any government agency requesting customer data must get a court order." Also chief security officer for Facebook said "We do not provide any government organization with direct access to Facebook servers. When Facebook is asked for data or information about specific individuals, we carefully scrutinize any such request for compliance with all applicable laws, and provide information only to the extent required by law." The report came on the same day that another newspaper Guardian, revealed that the U.S. government is collecting telephone records of millions of Americans as part of U.S. counterterrorism efforts via Verizon communications. Though there is no specific guarantee to privacy under the U.S. Constitution, the fourth amendment is often cited as guaranteeing protection to American citizens against unlawful search and seizure. UPDATE : President Obama says, "When it comes to telephone calls, nobody is listening to your telephone calls. That is not what this program is about. As was indicated, what the intelligence community is doing is, looking at those numbers, and durations of calls. They are not looking at people’s names and they’re not looking at content. But, by sifting through this so-called metadata they may identify potential leads with respect to folks who might engage in terrorism."